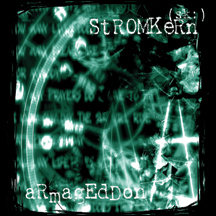 The digital release of the Limited Edition version of Stromkern's critically acclaimed Armageddon release. The original version was limited to 1000, hand numbered, copies and featured special packaging, a video for Night Riders and a bonus CD. This highly coveted bonus disc featured remixes from Icon of Coil, God Module, Null Device, Blank and more. This is the first time the full release has been made available digitally.